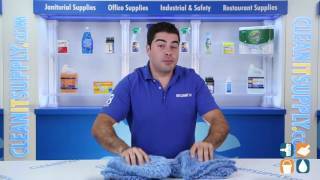 Clean floors 45% better than string mops and 25% better than conventional microfiber. These Hygen covers are perfect for general damp cleaning, with or without chemicals. Premium split nylon/polyester blend microfiber cleaning system provides innovative solutions designed for proven superior performance in maintaining healthy, safe environments. The patent-pending Zig-Zag design allows 17% more split microfiber into each mop cover. 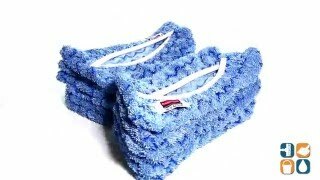 The Microfiber Flexi Frame Damp Mop cover is designed to gather and collect dirt, hair and other debris. 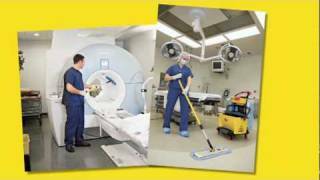 Save time and money when you can clean hard-to-reach places with ease. The superior construction and premium grade materials maximize durability and product life. It is durable through 500 launderings and 200 when washed with bleach. Use with the Rubbermaid Q855 Hygen Flexible Frame. Blue.